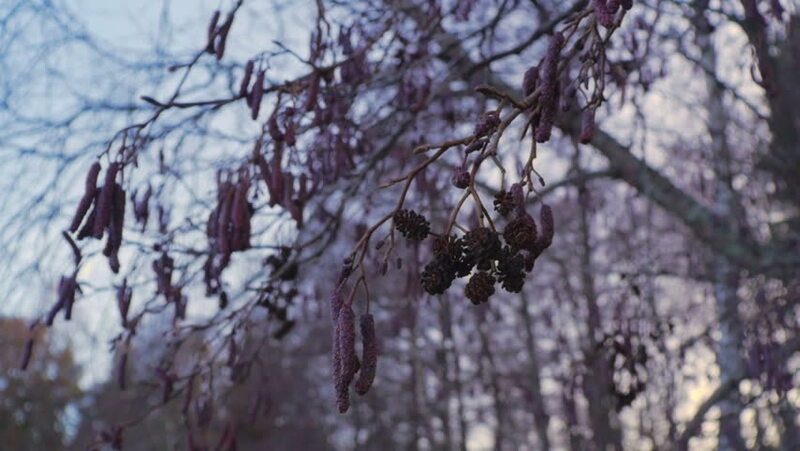 European alder (alnus glutinosa) flowers in early Spring. 4k00:07Great spotted woodpecker, Dendrocopos major, knocks on the bark of a tree, extracting edable insects. Bird in winter forest.